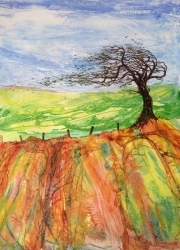 I am an amateur painter, working mainly with watercolour, drawing my inspiration from the surrounding landscape of North Devon and Exmoor. 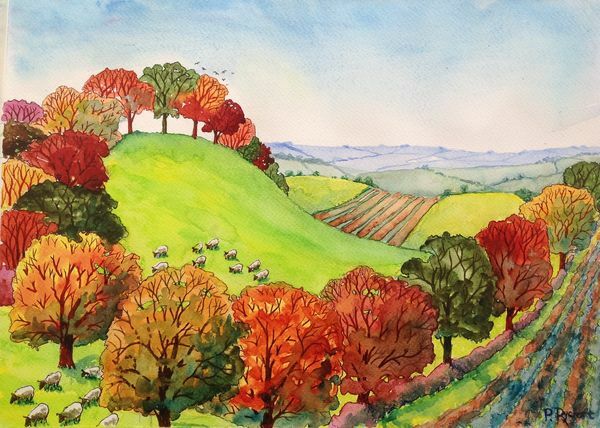 I am an amateur landscape painter and work mainly with water colour and inks. 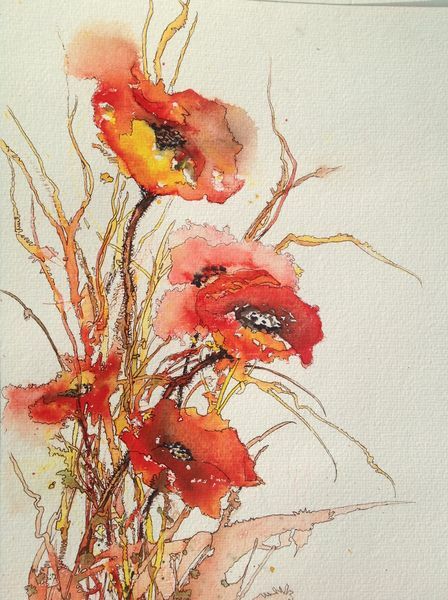 Many of my subjects are drawn from the moorland, rolling hills and woodland of my native North Devon and Exmoor. I have been painting just three years but have always wanted to become an artist. At school my art teacher encouraged me to study art, but circumstances did not allow. However, having reached the ripe old age of sixty, I decided it was time I should do something about it and set about painting and drawing every day. Still very much the amateur I work full time and have a young family to support. 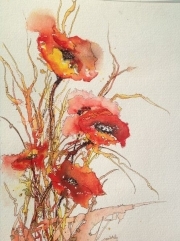 Most of my work is sold at country shows and craft fairs, but have exhibited at both RHS Rosemoor and South West Academy Open Exhibition. 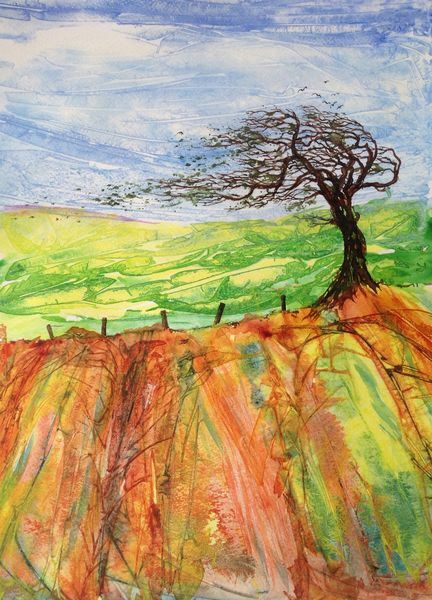 I draw my motivation and inspiration from the forms and patterns of the surrounding hedgerows, trees and enclosures using layers of colour, texture and shape. Hazeldene is approx half mile from centre of South Molton where there is a regular bus service between Barnstaple and Tiverton. Directions From the centre of South Molton follow the signs to Witheridge, just past the Sainsbury store turn left into Poltimore road and follow the ND Art Trek signage.